Gable Roof – The gable roof is the most popular roof style there is. Made of two equal planes meeting at the peak in the middle, this simple shape is effective in shedding rainwater and melted ice. Gable roofs remain the best option for homes with a symmetrical floor plan, and are compatible with all sloped roofing materials. Asymmetrical variations include cross-gabled roofs, a combination of several gabled roofs in one structure, as well as a saltbox roof, a gabled roof with one side much shorter than the other. Hip Roof – Hip roofs are basically the four-sided counterpart to gable roofs’ two sides. The longer sides of the roof form a ridge at the top. The hip roof has better wind resistance than gable roofs, and if this is a factor in your residential roof replacement project, consider converting your gable roof to a hip roof. Gambrel Roof – A gambrel roof is essentially a gable roof with two slopes one one side; one gentle slope on top of a steep one, forming a bell-like shape. This roof shape is ideal if you’re looking into making future additions, as the attic has enough space to convert into a bedroom. Mansard roofs are basically four-sided versions of the gambrel roof, much like what the hip roof is to the gable roof. A bonnet roof is a gambrel roof with steep slopes on top of gentle ones, forming a hat shape. Skillion Roof – A skillion roof is the simplest sloped roof design there is, with only a single plane that sheds rainwater to the short side of the structure. Skillion roofs were originally used on sheds, but have since become a popular style for contemporary home designs. Flat Roof – Flat roofs are typically associated with commercial structures, but are now a popular roofing choice for modern architectural styles. Despite the name, flat roofs have a slight slope to allow rainwater drainage. This is the only roofing system on this list that doesn’t have an attic space, and it has its own unique set of roofing materials, from traditional built-up systems to modern membrane roofing. 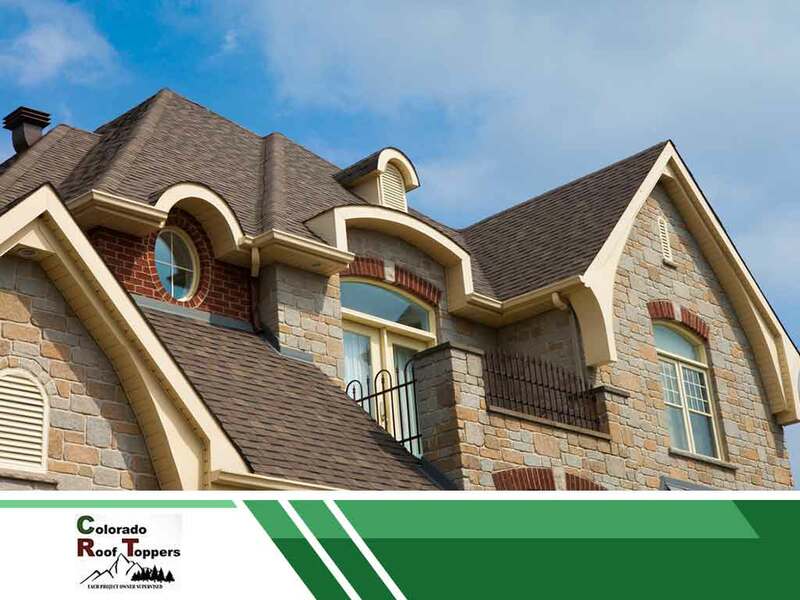 To learn more about these roofing systems, or if you’re looking for a roofing contractor who can build these roofs, call Colorado Roof Toppers today at (720) 239-1233. You can also fill out our contact form to schedule a free no-obligation quote. We serve many areas in Fort Collins, CO.